Its almost inevitable to hear the question “When will my child be able to..?” This is the same thing as asking “ When will my child grow an inch taller?” Due to each and every child being different, they also have an inner timetable, invisible to the naked eye. Doctors or friends can make educated guesses as to when your child will be ready to do something, but what’s the rush? Time goes so fast, and its important to enjoy each day with your child, rather than worrying about what their next milestone will be. 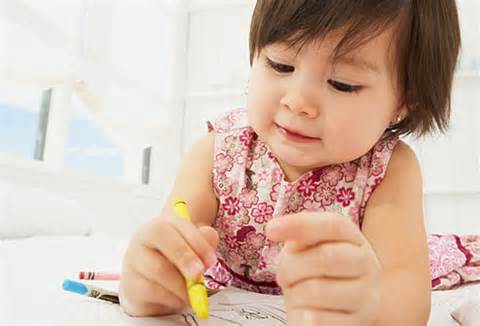 Parents consistently worry about when there child will read next, when they will learn to write, but in the end, what difference does it make? If your child is happy and secure, understand that as their parent, your allowing for the best schedule of growth in all areas of their life, regardless of what other children the same age are doing. The way our society is these days, its hard not to worry about developmental schedules with your children. Virtually all those parents have attended high school, and taught that there are deadlines needed to be met at a certain time or they will never catch up. Its important to forget these artificial deadlines, and be reminded that children are not all the same. If one child is late at a specific development in their early life, they can suddenly be ahead of everyone else before you know it. Technology is the only thing that keeps getting better, making life a little easier in so many ways. Parenting is the only exception and it doesn’t get easier, it stays the same even over time. Our babies know what they need and when they need it, but as parents, we think we know better. Our babies are the ones trying so hard to let us know they might want something, but we do something different. Try not to listen to everyone, instead listen to yourself and do what’s best for you and your baby. Listen to your baby closely, as they are trying to let you know what they need. Your child’s development depends on how much you work with them. In fact, your baby can learn to communicate via sign language as early as eight months, if their taught for an extensive two months.